One thing I hated about the Christmas season is the mad dash for gifts, trying to get every one on your list something. As mentioned in all my previous posts, I have an aversion to malls during the Holidays due to the long lines at the till and the extra long horns being spouted by evil cabs. 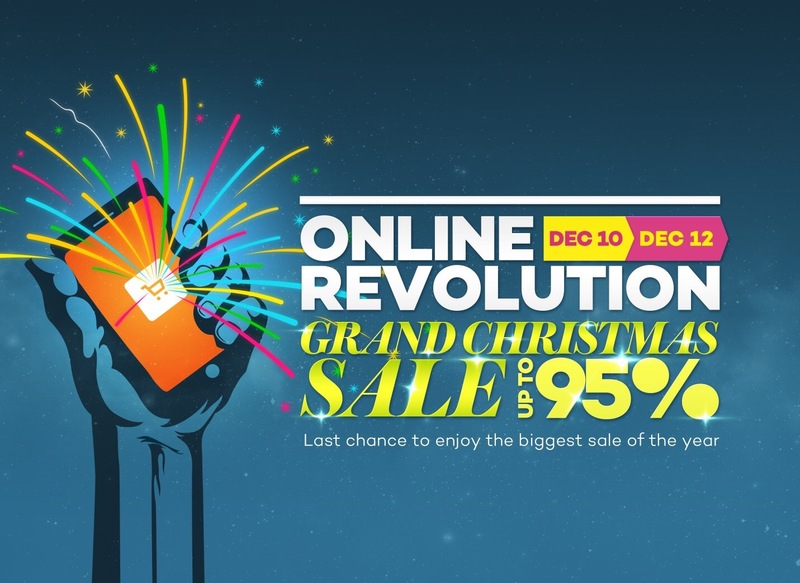 Thus, it’s good news once again as Lazada Philippines (www.lazada.com.ph), the country’s leading one-stop online shopping and selling destination, culminates its Online Revolution sale in a 3-day Grand Christmas Sale finale on December 10 – 12. This will give procrastinators like me the opportunity to complete our Christmas list without losing our minds in the process. Lazada broke its online sales records during the kick-off of the month-long sale event last November 11, generating 2.4 million visits and over 120,000 items purchased on its website and mobile app in a single day. The e-commerce giant expects to surpass these numbers before the year ends as it reveals further markdowns on its holiday bestsellers during the upcoming sale on December 10-12. Discounts during the Lazada Grand Christmas Sale will be up to 95% off and will feature new Shocking Deals, P12 Deals, and P99 Deals. Shocking Deals will feature popular branded items at half price including an Apple iPad Mini 2 Retina (16GB); other products include a Hoverboard and a MyView 40’’ Full HD LED TV with limited quantities as chosen by our customers on social media. 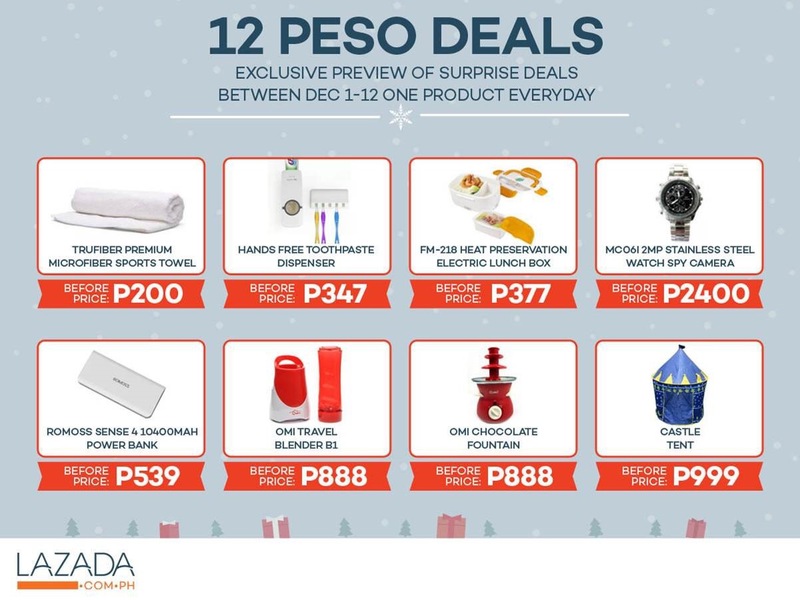 The links to the 12 Peso Deal items will with be announced on Lazada’s social media accounts. Items that will be available for P99 include bestsellers like the Push Up Pro fitness gear and the popular Hands-free Toothpaste Dispenser. Lazada online shoppers are in for more exciting promos during the month of December. Purchases made during the sale period may qualify for raffle draws to win Cebu Pacific airline tickets to international destinations as well as a brand new Hyundai Eon in the grand draw. BDO cardholders are also entitled to additional discounts on December 10-12. Lazada CEO Inanc Balci expresses his excitement for all the things lined up as they end Online Revolution with the Grand Christmas Sale. “Lazada Philippines aims to be the destination for effortless Christmas shopping with its low prices on its 1.2 million products” mentions Balci. For more information, please visit http://www.lazada.com.ph. For updates on Lazada’s latest innovations, as well as activities, contests and promotions, connect with us via Facebook (https://www.facebook.com/LazadaPhilippines). Disclosure: Blogger is an affiliate of Lazada. If you happen to clickthe links above and purchase from Lazada, blogger might earn a small affiliate fee. Kamikazeegirl believes in being being thruthful to its readers at all times.